And we know that you don't just spend all your time in the small square mile of Main Street downtown. 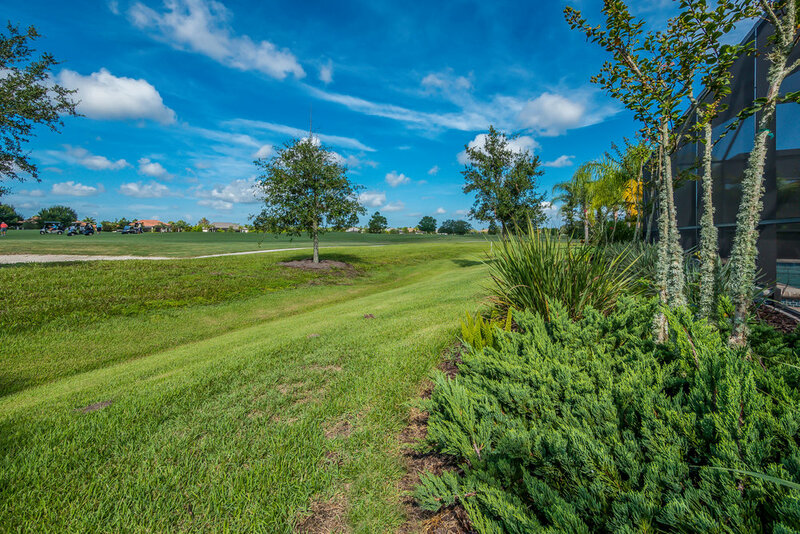 You may golf, boat, or play tennis. Many of you are here only for the coolest months of the year, many come into downtown just for the weekend to enjoy the culture and nightlife. That being said, we keep our eyes out for anything that might appeal to you! 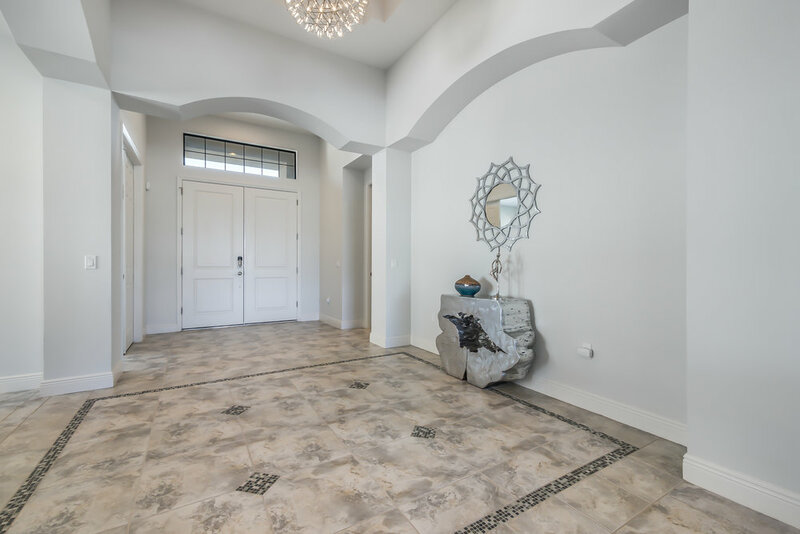 From the moment you enter the elegant foyer, you'll be greeted by contemporary class and exquisite details, with dazzling features throughout and chic but intricate architectural features, such as the arched custom doorways and beautiful tile design shown above. 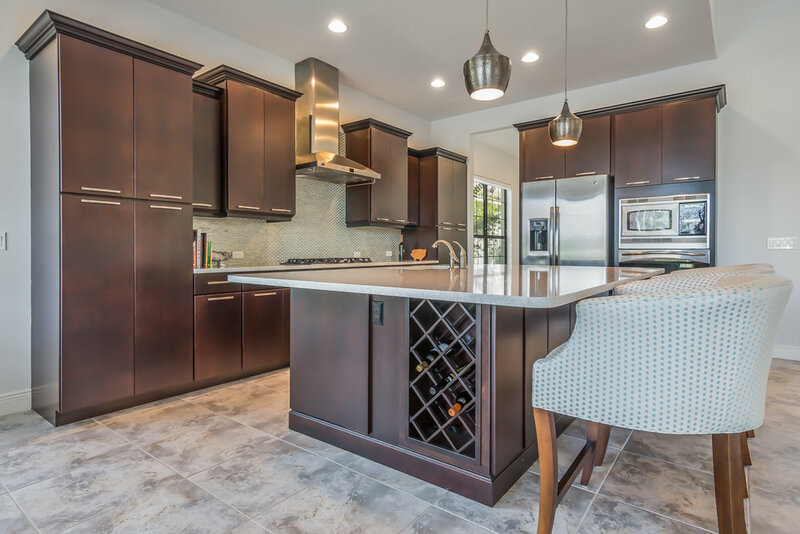 From the gorgeous, solid wood cabinetry, to the built in wine rack, to the ample storage...this spacious kitchen is a great place to cook and entertain. 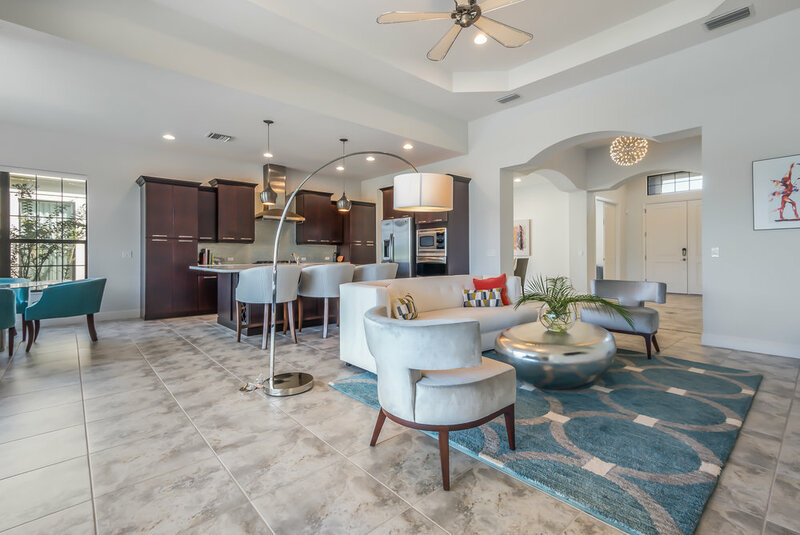 The island is immense, with plenty of room for breakfast bar seating. 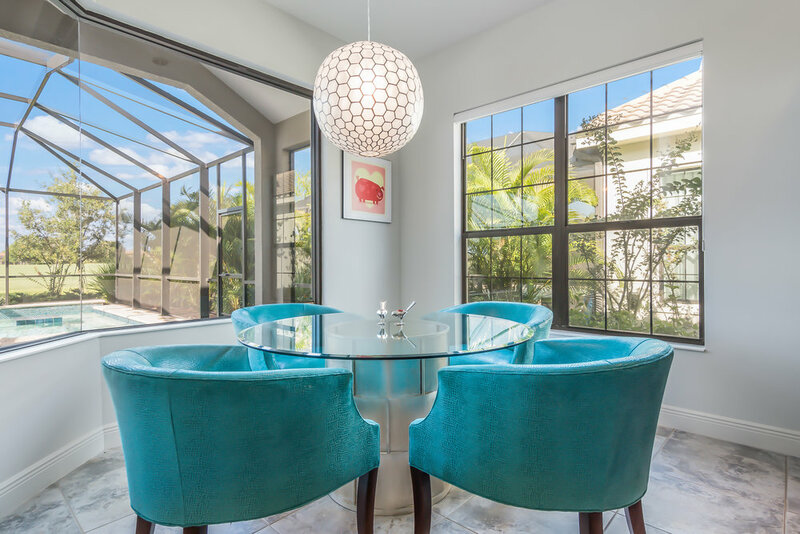 Luxe with stainless steel appliances and quartz countertops, the cherry on top is the view from this breakfast nook! 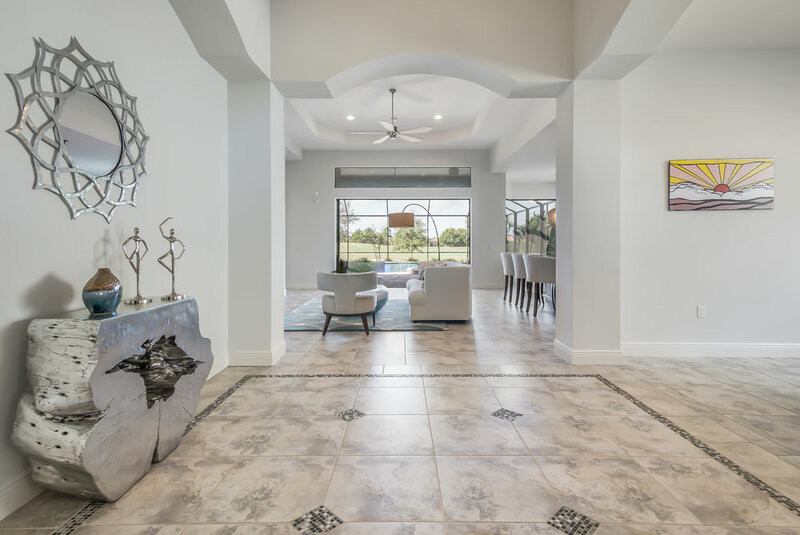 The great room has a wall of disappearing pocketing sliders that open to the expansive lanai, glittering pool, and green fairways. 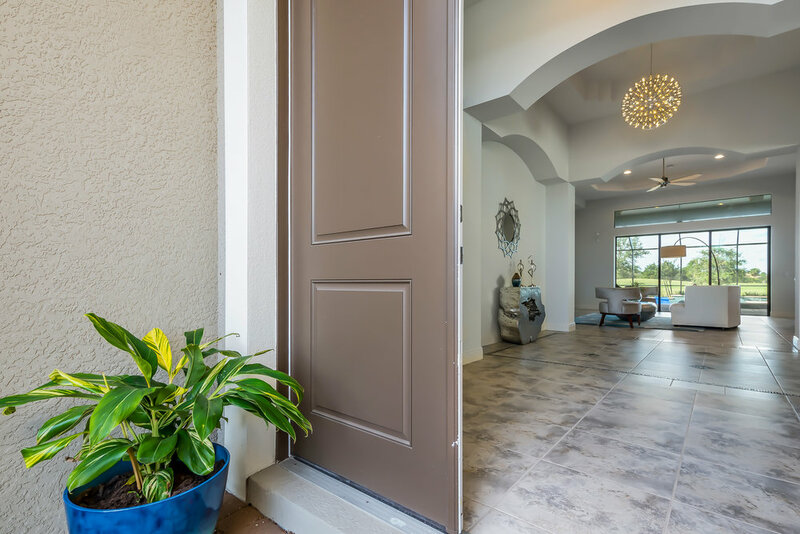 Just picture yourself relaxing in here with doors open and breeze blowing! The master bedroom has that great view too! 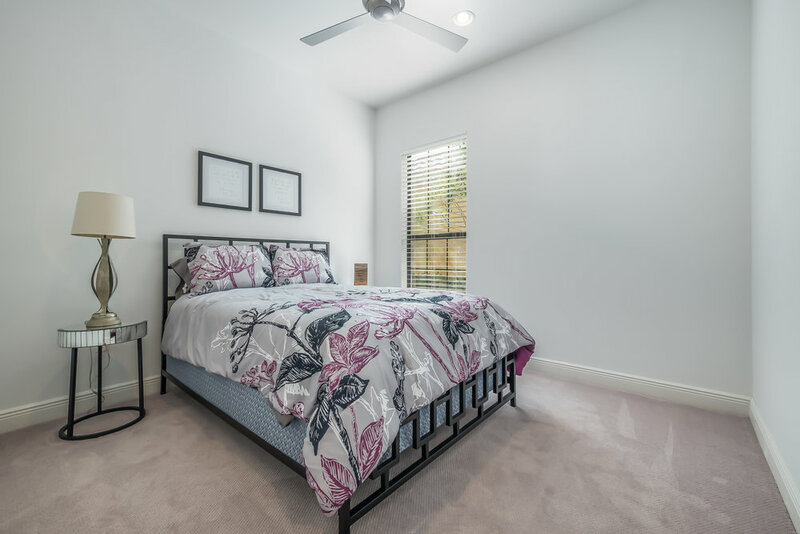 The room is spacious enough for a seating area and has two walk-in closets and a large master bath. 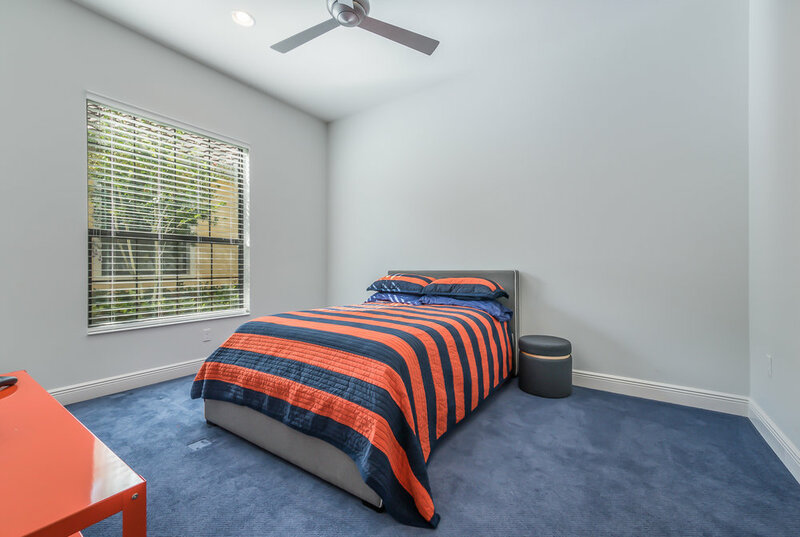 The two additional bedrooms are roomy, comfortable, and light-filled, thanks to the large windows. 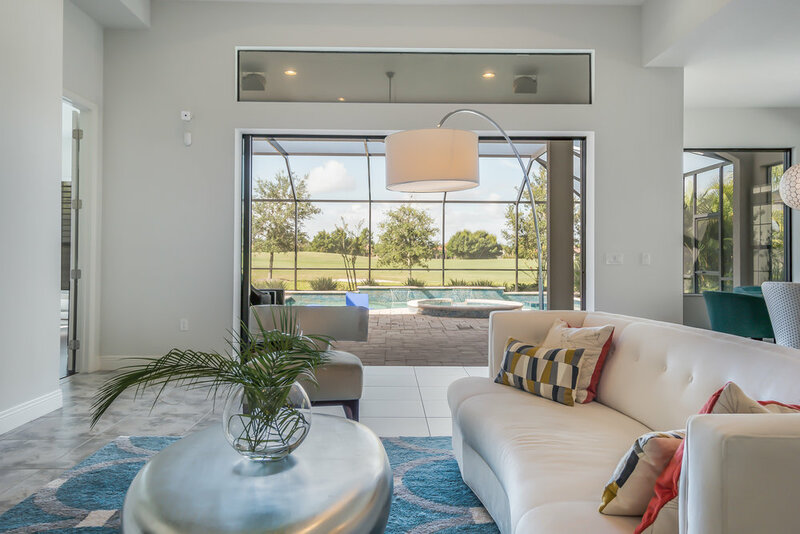 This custom pool was designed thoughtfully with leisure and fun in mind. It features a large sun shelf for basking in the rays (disclaimer: don't forget your SPF!) 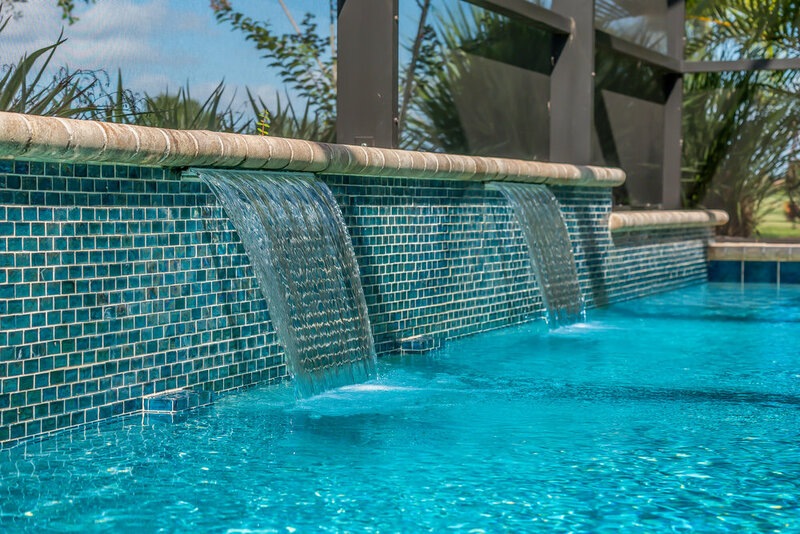 , a swim-up bar, waterfall feature in the pool and fountain in the spa, and gorgeous iridescent blue tile, which somehow manages to reflect the sparkle of the water and the shine of the sun simultaneously. We would just LOVE to be floating around there today! We might be downtown specialists, but we are also lifestyle specialists! 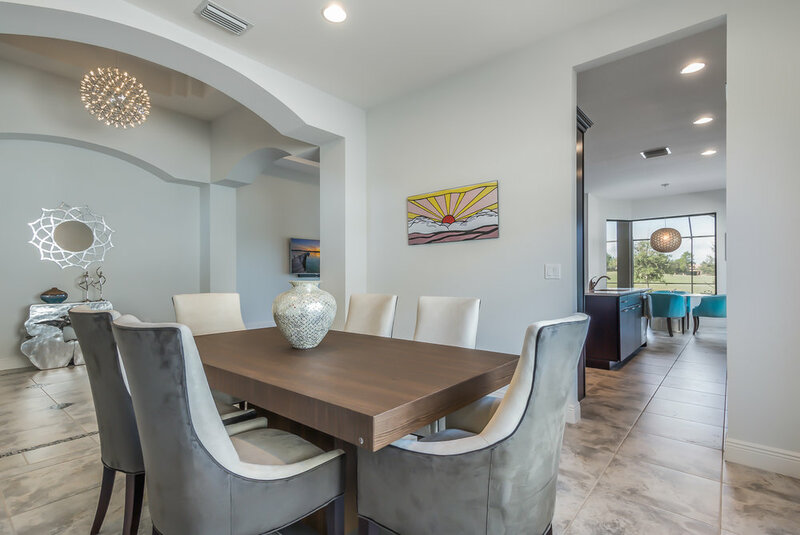 If you desire to perfect your Florida lifestyle with a home or property outside of downtown, give us a call! 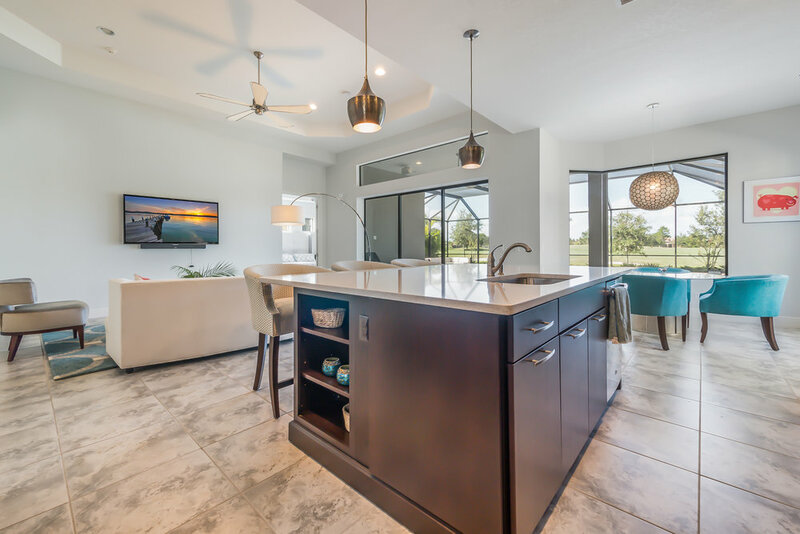 We are happy to help you fulfill your goals all around Sarasota so you can have your View from the Top in whatever way you choose!